This is a list of old projects. Note that these may not be actively maintained anymore. KOffice Thesaurus Here are two screenshots of the thesaurus I've written for KOffice 1.2. 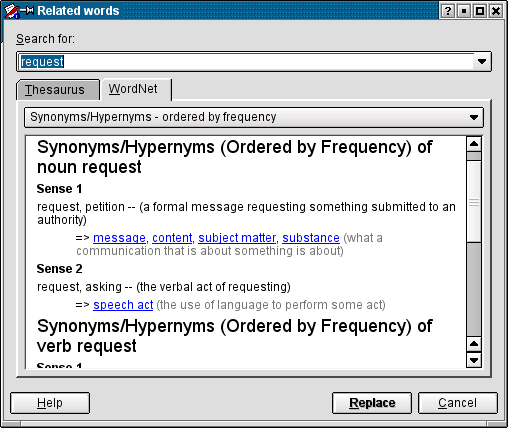 The data of the thesaurus is based on a subset of WordNet. 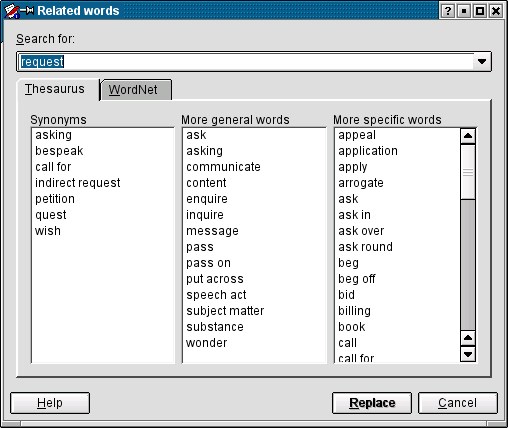 The thesaurus can be accessed in KWord by clicking the right mouse button on a word and selecting "Show related words".